Most brands worldwide cash in on business process outsourcing or BPO firms to keep up with their operations. Since some tasks can take a toll on their profits and production, they look for low-cost suppliers to do the same work without spending too much. 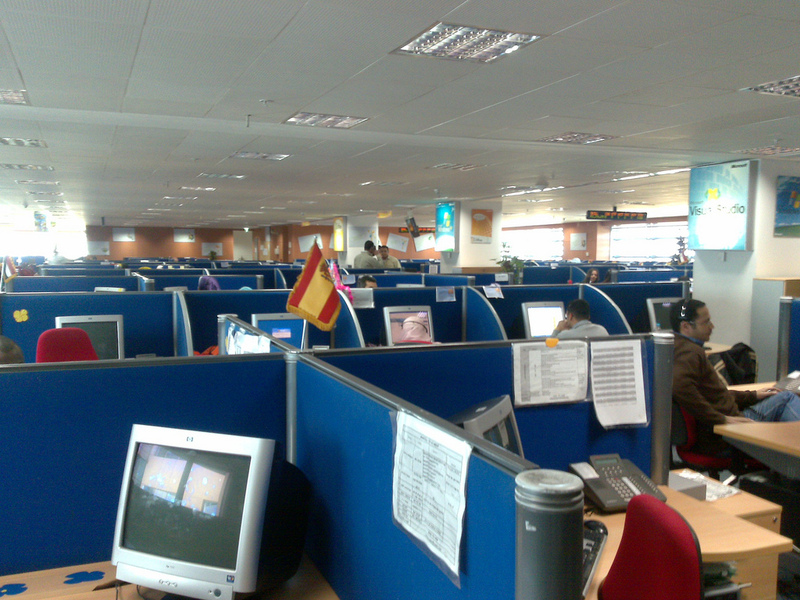 They get the most benefits when they turn to offshore sources where BPO firms charge cheap. With this, the BPO industry in the Philippines, along with its rivals, strides along with the growth of these global brands. 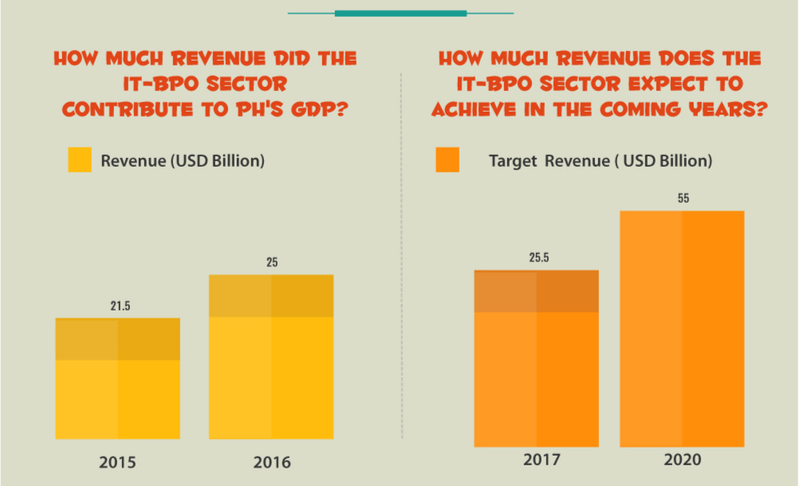 We have gathered global BPO data to show you the rewards these firms in the Philippines can bring to your business. 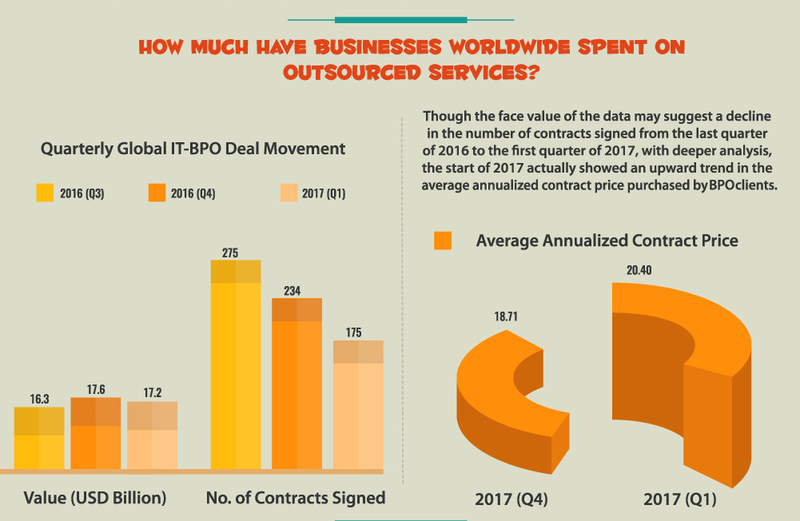 How much have businesses spent on outsourced services in 2016’s last quarter? Global auditing firm, KPMG, published a report on the Information Technology-BPO data for January to March 2017. They studied the said quarter’s results and compared them with those of 2016’s last quarter (October to December 2016) and with that year’s annual report. The Americas (North and South American regions) is still the largest consumer of outsourced services in product value. 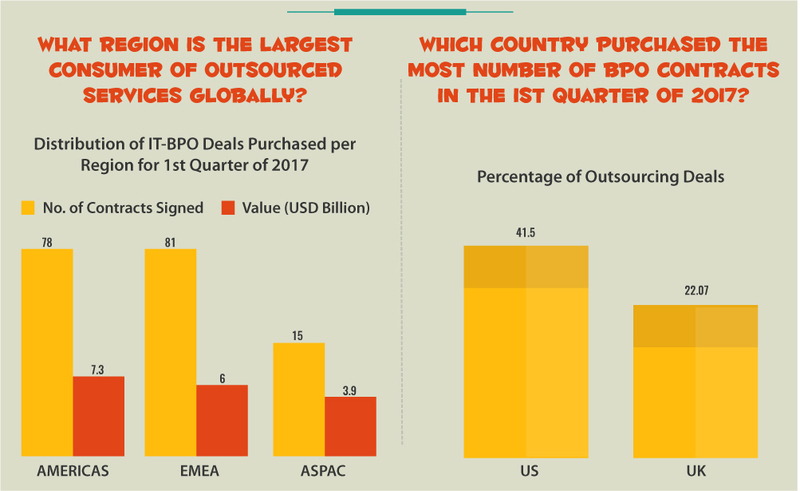 Europe, Middle East, and Africa or the EMEA region, although second only in total price value of deals closed, bought most of the IT-BPO contracts in 2017’s first quarter. In contrast, the Asia-Pacific or ASPAC region bought the least number of BPO services. The global market puts its faith on the BPO industry in the Philippines to support their growth. 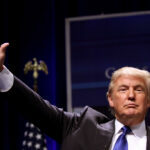 So, what can I learn from this behavior? If you want to stay on top of the race, think of what BPO firms can do for you. The top players in the global BPO scene hail from Asia. Tholons Inc. released a research ranking the world’s top BPO providers in its Tholons Services Globalization Index for 2017. 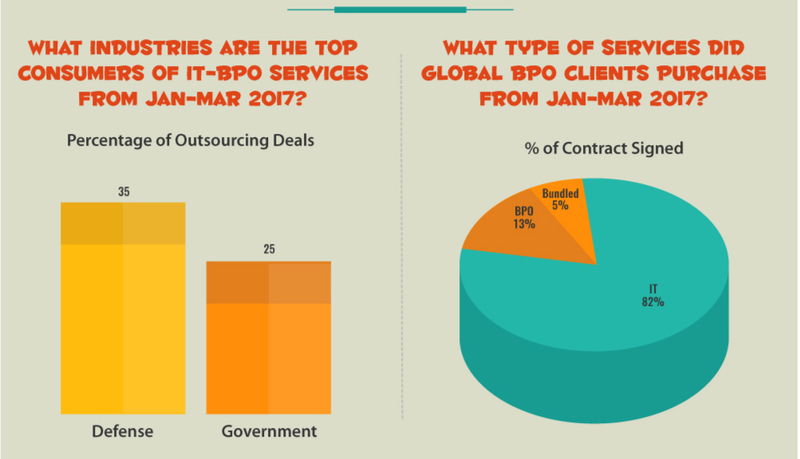 Compared to its 2016 data, India, China, and Philippines still lead the BPO race worldwide. Even after placing behind China in 2017, the Philippines still beat its rivals. Manila held the top five spot in the best performing BPO cities for 2016 and 2017. BPOs in the country are the top economic players. Their earnings make up a huge chunk of the country’s gross domestic product or GDP, next to overseas Filipino workers’ remittances. Likewise, the country profits from its vast and potent human resources by giving the best outsourcing services to the world. ASEAN Briefing projects grew further in the country’s BPO sector as it targets 25.5 billion USD earnings by the end of the year. It views BPOs as a huge income magnet for the Philippines, expecting firms to give jobs to 1.4 million more Filipinos by the end of 2017. In 2020, it foresees a minimum of 40 billion USD of income from the BPO sector alone while also bringing in 2.5 million more job openings for Filipino workers. The country is still a top destination for topnotch third-party solutions, as global companies depend on Filipino BPO and knowledge process outsourcing or KPO services. It led the race in voice solutions and second in the non-voice BPO trade. Although its primary product is contact center management, experts look into its bright future in other high-end outsourcing needs. 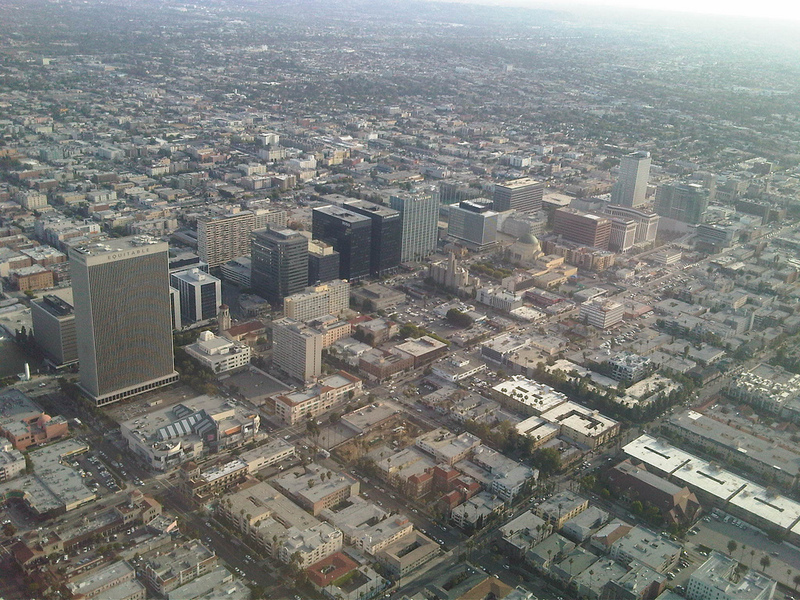 Global firms get their IT, design, and professional consultation needs from firms in the country. DTI or the Department of Trade and Industry values the BPO trade as a major labor and profit driver that offers the most number of private sector jobs. The biggest threat to the country’s robust BPO sector, however, is the rise of artificial intelligence- or AI-based solutions. This technology is rather taking the place of human process outsourcing. Top employers embraced computer automation by replacing call center agents and other back-office workers with robots to carry out the same functions. CNN reports that DTI Secretary Ramon Lopez asked Filipino BPO vendors and support agencies to brace their hold in the market of exported services. In fact, he wants firms and schools to work hard in training staff and future pros to give value-added BPO goods untapped by AI technology. Top IT-BPO firms in the Philippines work to uphold their edge over rivals by stepping up their KPO game. These firms now focus on honing knowledge-based products to respond to the threats posed by AI solutions. 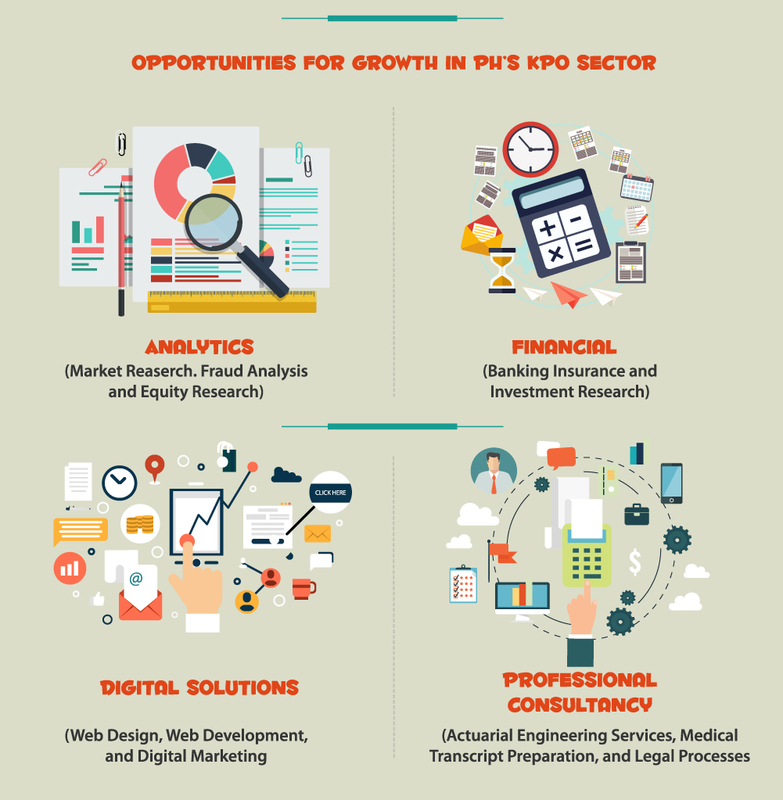 These KPO services include digital marketing, research, web development, creative design, and professional consultancy. The BPO industry in the Philippines stays dauntless despite challenges from technology and foreign contenders. 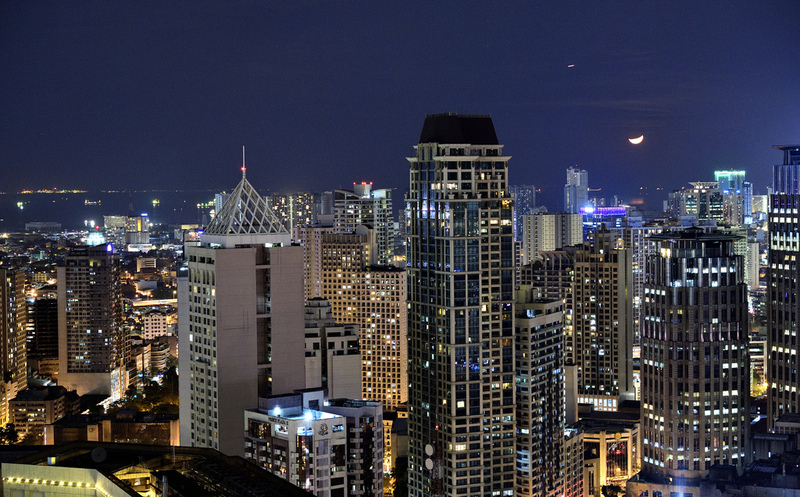 Outsourcing Services in the Philippines: Why Hire Filipino Workers?